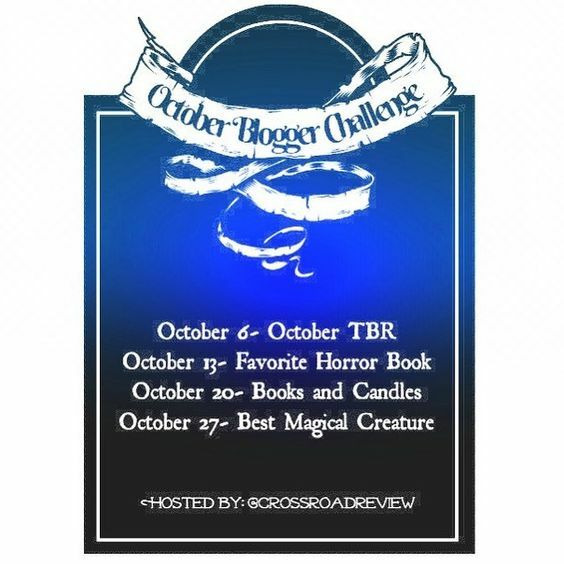 This weeks challenge is about Horror Books. 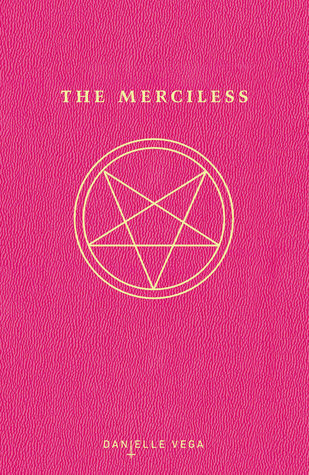 For this weeks post I chose The Merciless (The Merciless #1) by Danielle Vega. This is by far one of the best horror books that I have ever read! It kept me guessing on what was going to happen and that ending OMG. To top it off its a series that I could not put down. However, I still need to read the last book. Let us know what books you read off of this weeks topic in the comments below and make sure to join us next week! “I still don’t understand why it would bleed so much.” Mom wraps up the chicken we just had for dinner in tinfoil while I fill the sink with soapy water and start the dishes. I shrug, staring at a folded dishtowel next to the sink. It’s red and white with a picture of a rooster on it. “It was a really big zit,” I say. I cleaned the blood from my face and covered the piercing with a Band-Aid before my mom saw it, but I’ve had to change the Band-Aid twice since she’s been home. Already the new one is red with blood. I slip out the back door with the phone and curl up in the wooden chair on our patio. Our backyard stretches forever, without any streetlights or nearby houses to break it up. It’s unnerving, like being walled in on all sides with empty space. Insects buzz restlessly, like white noise. I tuck my legs beneath me. “Riley?” I say into the phone. “Nothing, really. She took me with her to get a tattoo.” I run a finger along the edge of the bandage on my forehead but decide to keep the details of my piercing to myself. “That’s it?” Riley sounds disappointed. I lower my hand, quiet for a second as I try to work out what I want to say. “What did you expect me to find?” My voice comes out sharper than I intend, but I don’t apologize for it. Riley said she was trying to help Brooklyn, but it sounds like she just wanted her to screw up. I press my lips together to keep myself from arguing. Riley thinks Brooklyn skinned that cat. Tattoos and cigarettes aren’t in the same league as animal mutilation. “Are you okay, Sof? She didn’t hurt you, did she? Or manipulate you in some way?” The concern in Riley’s voice is real, and suddenly I feel terrible. Riley’s been a real friend to me since I got here, not Brooklyn. I exhale and shake my head, pulling at a piece of loose skin near my fingernail. “No, it was nothing like that. She was . . .” Cool. The word pops into my head uninvited. “She was weird,” I finish instead. As the word leaves my mouth I realize it’s just as true. Brooklyn was cool, but I get what Riley means— something about her did feel off. I think of her slender fingers on Santos’s needles, her wolfish grin, and how she persuaded me so effortlessly to get a piercing. She made it too easy to be bad. I run my tongue over my lips, which are dry now from the cold creeping over the yard. The last party I went to was in a house in the woods, next to the train tracks that ran through town. A bunch of football players stood just inside the door, loudly rating every girl who walked past, and every time a train rolled through, the whole house shook and everyone took a shot. The insects in the yard have gone still, but wind sweeps over the grass and pounds against the windows. I shiver and pull my arms around my chest. Grandmother used to pray for people in her neighborhood when she thought they needed strength. This isn’t any different, I guess. Riley’s just a little more active with her faith. Grams would probably like her. Join us next week when we talk about Books and Candles!